Meghan Trainor dropped her new album Thank You on Friday and she will hit the road to support it next month with Hailee Steinfeld as her opening act. Meghan is bringing Hailee because she loves her music and her personality. Meghan’s tour kicks off June 11th in New York, but her album Thank You is out now! 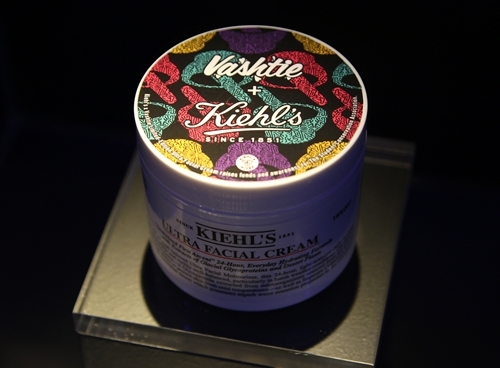 Last week at the annual World of Kiehl’s event in New York, the brand celebrated its 165th birthday by unveiling a number of new formulas and services including their next celebrity partners for 2016. Following in the steps of Solange Knowles, Phillip Lim, Pharell Williams, Alicia Keys and more, this year Kiehl’s has partnered with New York based DJ, designer, and producer Vashtie as well as American actress, singer, and model Hailee Steinfeld who each designed their own limited edition Ultra Facial Cream. What better way too celebrate their new global program titled, A Natural Mix than by partnering with two equally influential musicians who mix with the best of them for a party at Marquee. Greeted by a giant Kiehl’s encrusted birthday cake, Hailee Steinfeld performed a short acoustic set featuring “Love Myself” and “Rock Bottom” followed by a Vashtie fuelled dance party. Both limited edition Ultra Facial Cream designs will raise funds and awareness for their charity of choice, which in Vashtie’s case is a non-profit organization called The Student Conservation Association.